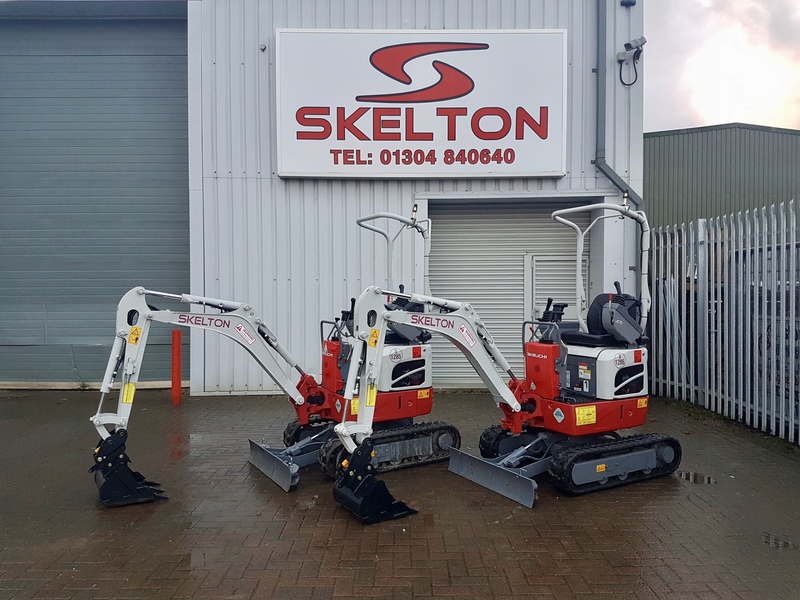 Some 25 years ago the first ever mini digger on the inaugural fleet of Skelton Plant Hire was a Takeuchi TB020, well they’re now back in the room! Quite literally too, should you require. The TB210r is the 1 Tonne Micro excavator that can access a standard domestic doorway so it can venture into any room you wish, back yard or even a cellar. Why invest in this brand you might ask? Simple, in our opinion it’s the very best Micro on the market. The Takeuchi brand is already synonymous with quality, reliability and good residual value which are all imperative in the fast, harsh and competitive environment of equipment rental. Where the TB210r’s score above the competition is the servo levers mounted alongside the operator. The drive-ability of these little beasts is superb, not to mention the added safety aspect this brings to the machine and all its surroundings. As is the case with ALL of our excavators, they come readily equipped with quick release couplings on the auxiliary hydraulics to enable fast fitment or change of a hydraulic attachment, such as a breaker or post hole borer, also, a manual quick hitch married to the dipper makes these processes seamless when changing the bucket or attachment. As an extra management tool we provide our customers with digital signature capture for proof of time and location of delivery and collection of all our plant and equipment. Compliance documentation such as Lohler Certification and safety inspections can be emailed directly to site, or the client’s office, instantly. These are some of the ways we continually develop our working practices and relationships with our clients. We’re hopeful that you’ll be pleased with their performance and look forward to you checking one out when you next need a pocket rocket. 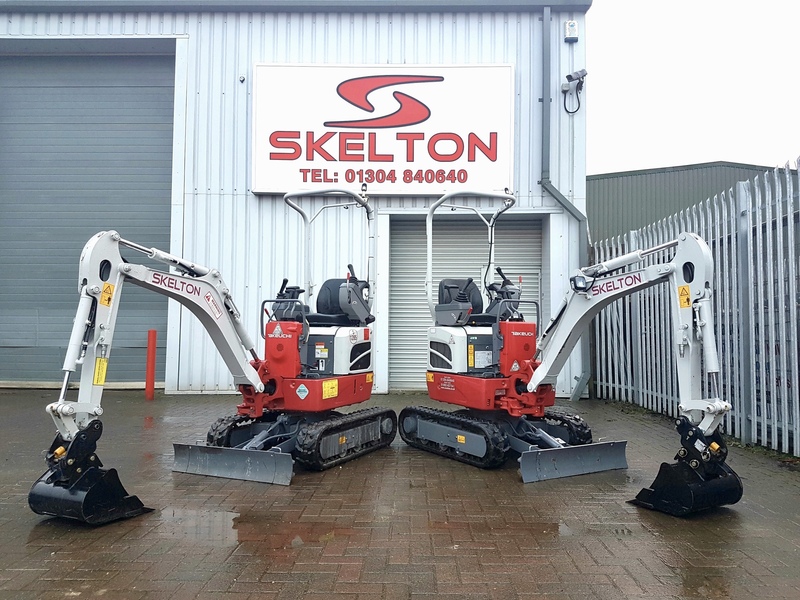 Give Team Skelton a call to discuss any requirements. After all, with 30 years in the industry and 133 years of combined expertise at the end of the phone, you can’t really go wrong!